Are Low Cost Associated Health Plans Worth It? Is a Settlement or Court Ordered Judgment Protected from Subrogation? Is Your Medical Benefits Advocate Conflicted? Click here to hear the announcement. Hear from Ms. 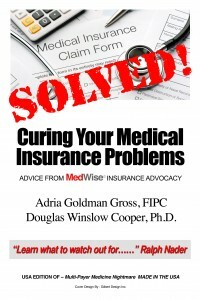 Gross herself about how MedWise Billing, Inc. can help; click on a video below to watch.